OVERVIEW: Re-discover one of the most gripping horror films of all-time with the cult classic An American Werewolf in London, now available on Blu-ray Hi-Def for the first time ever September 15 from Universal Studios Home Entertainment.. Blending the macabre with a wicked sense of humor, director John Landis (National Lampoon’s Animal House) delivers a contemporary take on the classic werewolf tale in this story of two American tourists who, while traveling in London, find their lives changed forever when a vicious wolf attacks them during a full moon. Digitally remastered for optimum picture quality, this new edition includes all new bonus features including the new feature length documentary Beware the Moon. BLU-RAY: The film is presented in 1080P widescreen with a 1.85:1 aspect ratio preserving the film's theatrical format. It seems to be the same cut use in previous DVD releases, however the picture is just flawless, giving this cult classic the clarity that only high definition can provide. Universal Home Entertainment has done it again with this transfer. Not only the picture looks excellent in this release, also the sound it is good, a 5.1 Dolby DTS-HD in English that provides a nice complement to the picture. It also includes 5.1 Dolby Digital language tracks in Spanish and French, as well as DTS 2.0 in German, Italian. The film is also subtitled in Castilian Spanish, Danish, Dutch, English SDH, Finnish, French Canadian, French European, German, Italian, Japanese, Korean, Latin Spanish, Norwegian, Portuguese, Greek, Traditional Mandarin., Swedish. In terms of Special Features, the blu-ray Disc includes basically the DVD's original featurettes. It also includes 2 new features. The first one is call "I Walked With A Werewolf", in which make-up artist Rick Baker reflects about the film. The second feature is "Beware the Moon" in this one, director John Landis and Rick Baker talk about the film. It includes cast and crew comments. It also includes U-Control and BD Live. This is a blu-ray to own, very few times I recommend upgrading a DVD title and The Machinist is one of those tittles that deserve an upgrade. In my eyes this film is a true classic. It is one of those films that are hard to find these days. Overall the Blu-ray looks great and should not be missing in anybody's collection, however it is unfortunately that it doesn't include a digital copy. 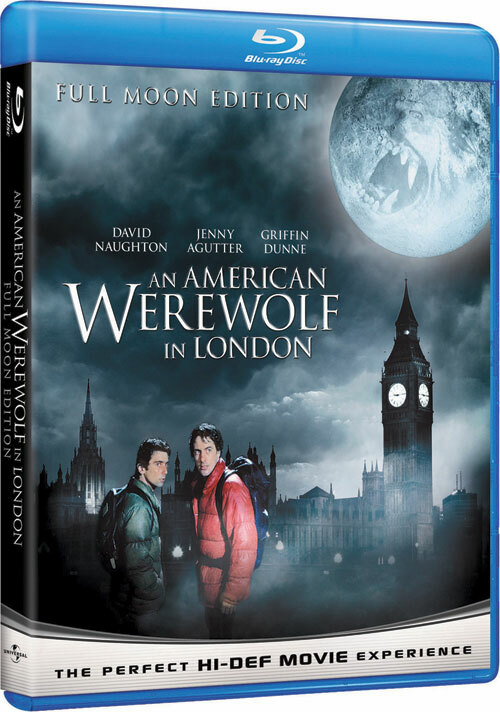 I Walked With A Werewolf Academy Award winning make-up artist Rick Baker reflects on An American Werewolf in London and The Wolfman. Beware The Moon New feature-length retrospective documentary with the cast and crew including director John Landis and make-up artist Rick Baker.